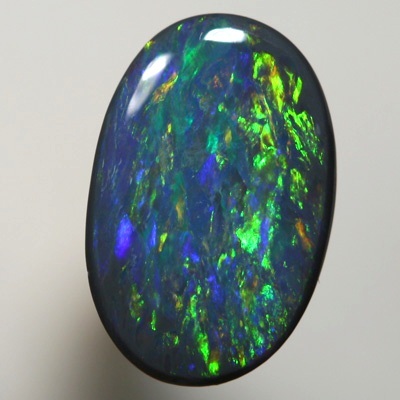 This SOLID BLACK Opal is from the Lightning Ridge mining fields in <?xml:namespace prefix = st1 ns = "urn:schemas-microsoft-com:office:smarttags" />Australia. 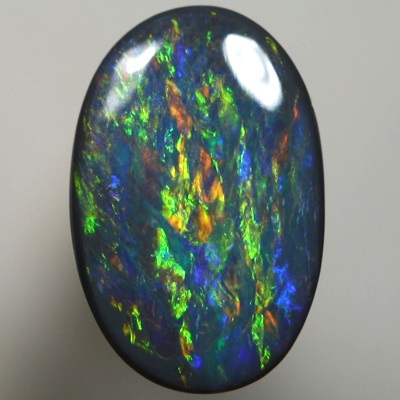 Want to see a video of this opal? Video will open in your default media player. To loop playback on Windows Media player, press CTRL+T whilst the video is playing. 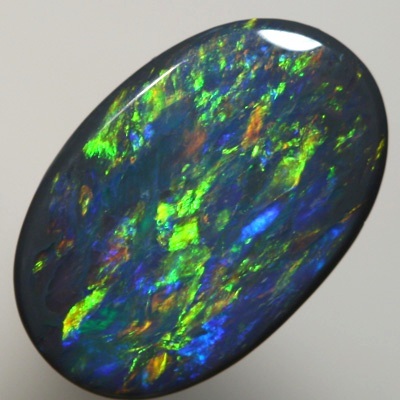 This opal is alive with bright, strong fire bursting across the face like an endless fireworks display. 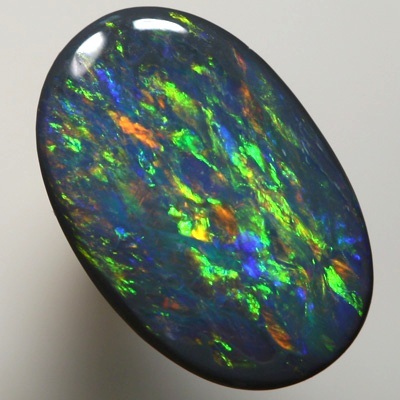 From the bright and strong copper gold to burning orange, green and a beautiful purple blue. 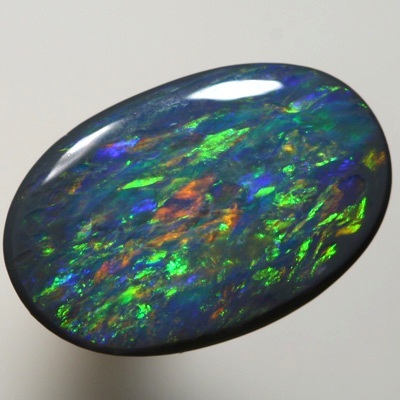 Vivid colourful rays radiate from all angles -sparkling bright all of the time and great in all lights. A true miracle of Mother Nature.